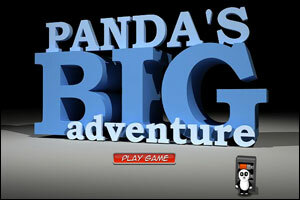 The Panda character created by Rob Donkin and RobotJam for the Panda Adventure series is back in a new Point’n’Click adventure, Panda’s Bigger Adventure! “After discovering a time traveling ‘portaloo’ machine, Panda’s life has been a roller coaster of discovery, adventure and thrill. This new installment is as nice as the previous one, and it’s still on the easy side! Panda’s Bigger Adventure video walkthrough! Panda’s Breakout is the latest Point’n’click, Puzzle game from Abroy. 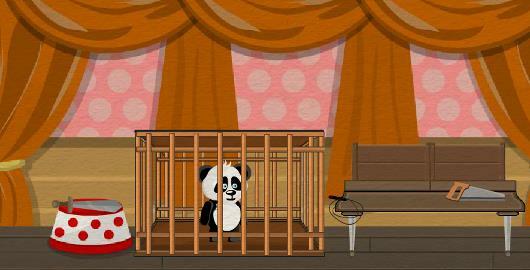 Help the little panda to break out from the circus! The Panda character created by Rob Donkin and RobotJam for the Panda Tactical Sniper series is back in a new Point’n’Click adventures, Panda’s BIG Adventure! “On a secret mission Panda discovers a time traveling ‘portaloo’ machine. Our hero decides to go for a ride but things go horribly wrong as parts of the machine are scattered across time. Easy game, but very well done! Harry Quantum: TV Go Home is the first installment of a new Point’n’Click adventure series from LongAnimals and robotJAM. The series features a detective called Harry and reminds me a bit of another popular series from robotJAM and Rob Donkin, Panda’s Adventure. Have fun!